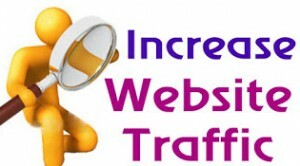 5 ways to increase your website traffic | AdsWiki - Ad Network Listing, Reviews, Payment Proof & Advertising News. You are working hard on creating value for your users, make sure that they can find you! • Show up in search engines – Submit your website to sitemap.xml file to Google to have your website show up in Google’s search engines. There is a tool that inspects websites making sure you didn’t miss any tags and links and it creates a free sitemap.xml file. It gives you results in minutes. • Search engine ranking – you can improve your search engine ranking by enriching your website content with keywords that are related to your specialty (for example advertising). Stay tuned for our SEO ranking article coming soon. Generally you want your users to find you when searching for your specialty. • Meta tags – ”Meta tags” are the software code that website visitors do not see but search engines do. Too many key words will ruin your credibility and hurt your search engine ranks. Don’t share too many links, it will be viewed as spammy and you will lose your credibility. Be patient. Search engines need a lot of time to index a new website and domain. It takes time for your content to be indexed and for your credibility to be registered. But don’t worry, keep working on building quality content and it will come. We all like to feel that we are a part of something. Allow your website to be a platform for a community, that they feel that your website is their space. • Launch contests – give your users a chance to compete and a chance to gain something for their loyalty. This will be viral and bring their friends to join the competition as well, increasing your user base. • Forums – participate in forums. Offer your insights to questions that you are the master of. Ask questions and learn from your fellow forum members as well. make sure you include your website URL in your signature so the users identify you with your website. • Word of mouth – your friends and family should become your promoters! The internet is all about being viral. • Value: Creating content that is useful. Help users find answers to questions or dilemmas, offer solutions to common issues. If you have an advertising related blog for example share your knowledge and help your users become as professional as you are. • Regularity – Be consistent with your posts and updates – it is very important to keep updating your website with new content. Suggested post interval is 3 times a week. Tip! Don’t copy content from another website – search engines are very advanced as are internet users and will detect unoriginal content. Your website is your online store and window shop. Make sure it represents you and looks good on the eye. • Balance your page – make sure you have a good balance between your content, photos, videos and advertisements. Overcrowding your website can cause your users to be overwhelmed and lose patience and you lose traffic as a result. • Advertising –advertising is a very well accepted form of making money online. Make sure you are adding banners in a tasteful manner. We recommend to think of 3 banners for page as a maximum, more than that can lose its effect. • Backgrounds – over bearing backgrounds can make your website look cluttered. Go for something that is clean and gives focus to your content and ads. Using rich media ad formats is a great way to keep the design of your website while still making use of your website traffic towards ad revenue. Besides, make sure your text is easy to read. Avoid white on light backgrounds or overly aggressive colors for your text. Users online are very impatient. We are used to having quick results, quick answers and quick websites. Make sure your page loads quickly and effectively. Verify that all your links are working properly and that your navigation runs smoothly. • Easy navigation – include a search box in your website. Your users will come back and look for content they once read, or search for something specific. This will create user loyalty if they can easily find what they are looking for. Make sure you include a toolbar at the top of the page for easy navigation. • Sharing options – make sure to include easy share options to Facebook, e-mail, Twitter and other social media sources. As soon as you have a good functioning website, good content and loyal users the viral effect will be felt in an increase of traffic. Your website functionality is very important to keep a good reputation and get recommendations from your users. Try to ensure a seamless experience and you will enjoy the benefits. Don’t be tempted by auto generated impressions. This gets you kicked out of search engines and Qadabra. There are a lot of ways to get traffic legitimately, fraud impressions are big no no’s. Don’t spam. It is easy to lose your credibility with one mistake and very hard to earn it back. Don’t risk your website traffic and online earnings for spam. Don’t get tempted into auto generated clicks. This will destroy your website and any chance of earning money online.